Accessories that sparkle for the season from mark. FRAAS, George and Marc Jacobs! mark. Midnight Luxe Hairband - $18 - rich emerald color jewels framed with shimmering beads and faux pearls make for a hypnotizing effect that is sure to stun. Comprised of clear and emerald-colored rhinestones; faceted, clear and emerald-colored glass stones; goldtone beads and faux pearls on felt. And for all you gingers out there, this band looks great with red hair! FRAAS Metallic Zebra Scarf - $35 - comes in black, gold and silver combos with a mix of metallic, acrylic and viscose yarns. 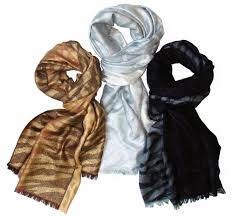 With a 12 x 80" size that maks it perfect to use as both a wrap and scarf. Available worldwide at department and specialty stores as well as online at fraas.com and amazon.com or order directly at 212-575-0191. G21 Spark Glitter Platform Heel - $29 - also comes in black but I love this rich jewel toned purple! Sometimes skin can be your best accessory, especially if you're going to be showing a lot of it...! Marc Jacobs Beauty Lightshow Luminizing Powder in 302 Close-Up - $71 - a multidimensional powder that flatters all skin tones by diffusing light and minimizing imperfections. The formula provides a subtle glow with a universal blend of three complexion-brightening shades, dusted with gold accents for a radiant, glowing complexion. love the hair band and the highlighter! great hairband and lovely colour Lightshow Luminizing Powder!